We are dealing into High Frequency Grinding Spindles. 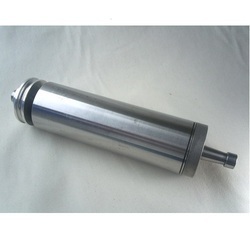 We offer high quality Internal Grinding Spindles, which are used for internal grinding. These are used for bore grinding of bearings, connecting rod and other mass production components. We also offer these as per our customers' requirements & specifications. SMZ Italia are internationally reputed manufacturers of H.F. Spindles for Milling and for Grinding; as well as of Belt-Driven Spindles for internal grinding.